We have a confession to make to you today kind readers. We are absolutely the worst gossips on the planet here at Re-find. We aren’t proud of it, but alas it’s true. Thankfully, our affliction doesn’t cross over to telling things told to us in confidence, so your secret truly is safe with us. But we love to dish with friends about celebs and — we’re so sorry — regular folks in our orbit. Why are we confessing it? Because we are resolving to stop so much darned gossiping in 2011. We are shaking our heads at ourselves as we type! 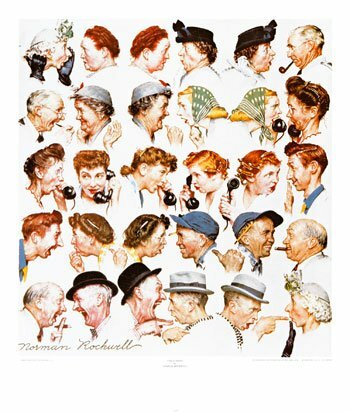 Interestingly, studies over the past five years have yielded interesting results, such as that men gossip more than women and that gossip is only about 5 percent malicious, which you can read more about in a 2009 article from the N.Y. Daily News. Are you a gossip? Would you, could you give it up? We promise, we won’t tell anyone.